Although it’s not quite the return we had hoped for, series one of Mongrels is set to air on Dave from Monday 30th June at 3.15am! 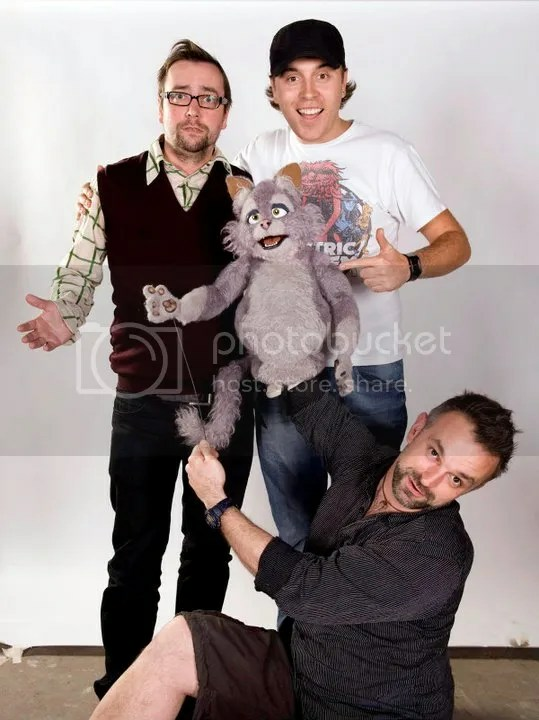 As regular readers know Adam Miller‘s foul-mouthed puppet show featured Tony Way as Gary, the owner of a South London pub that just so happens to be surrounded by vermin – from meek metrosexual fox Nelson (Rufus Jones), and his best friend, simpleton feline Marion (Dan Tetsell), to psychopathic champion vulpine swearer Vince (Paul Kaye), and deranged, scheming pigeon Kali (Katy Brand). With Gary’s pedigree chav dog Destiny (Lucy Montgomery) completing the line up, the show was an instant cult smash, until it was axed by BBC3 a couple of years ago. Dave is a digital channel and part of the UKTV network, who are now making original content for their channels, including the recent revival of BBC 2’s cult favourite Red Dwarf. UKTV Gold has also recently announced that they have the rights to show the final Monty Python live show, so they are obviously serious about investing in content for their channels. If you can’t wait to see Mongrels again, you can get both series from TVO Store.